Diane Abbott, Clive Lewis, Owen Jones, John McDonnell and Ken Loach are among those who will all appear at Momentum’s alternative conference in Liverpool – and the programme has received endorsement from Jeremy Corbyn. The organisation today announced the line-up for their four-day politics, art and culture festival, which has been organised to coincide with Labour Party conference in Liverpool from the 24 – 27 September. The festival, called The World Transformed, is designed to “build a movement” around the party, and develop a new politics of participation and involvement. It is also expected to connect grassroots groups with the Labour Party more generally. It will include over 150 hours of workshops, talks, performance and activities to “empower communities and transform society”. Momentum has come in for criticism for organising the events, which some within Labour perceive as being styled as an alternative to the party’s conference. Activists, commentators and trade unionists including Aaron Bastaani, Emma Rees, Mark Serwotka, Matt Wrack, Neal Lawson, Paul Mason and Shelly Asquith will appear at the Black-E, the UK’s oldest community arts venue. 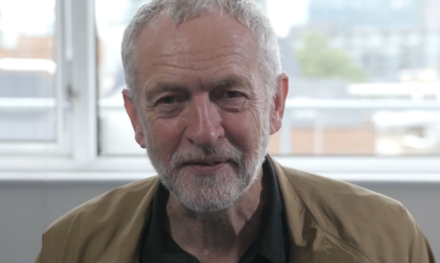 Leader Jeremy Corbyn has released a promotional video for the event, saying “I’m going to be there, because I want to see a world transformed. “All those people, with all those ideas, ambitions and energy, are going to be there as well. Come along and join us – you’ll have a great experience. Doing things together benefits us all, educates us all, makes us strong, and does change the world”. The festival will be free to attend and is open to those who are not conference delegates or Labour members.